Keeping your business secured with commercial video monitoring. Eyes from the sky, we have video monitoring surveillance at all times to prevent harm. If the security guard services of your commercial business could use a boost, then you may want to consider the remote monitoring thru the licensed security guard services of Digital Security Guard. No matter what part of the commercial sector in which your business operates, we’ll be able to work with you to create a unique security plan specifically designed for the individual needs of your business. However, for many businesses, simply relying on the improvements made in technology alone just isn’t enough to maintain the proper level of security. For places with with limited man-power to dedicate to security needs, or areas that are simply too big for consistent monitoring, extra measures must be taken to ensure the safety of your employees, customers, products, and property. Having licensed security guard services from Digital Security Guard will provide that added layer of protection. For decades, surveillance footage has been a mainstay for any decent commercial security system. As all forms of technology continue to become more advanced, the security industry too has flourished and security cameras are now more complex and effective than ever. Where the CCTV security systems of the past often yielded footage that was too fuzzy and obscure to be of any use in legal prosecutions, the IP and high definition cameras of today have helped to greatly increase the security potential of many businesses with their clear recordings, easy installation, and customization. We know that being in charge of the day-to-day operations of any type of commercial business can be a daunting and time-consuming challenge. You know that security is incredibly important, but you need some help optimizing the security potential of your business. 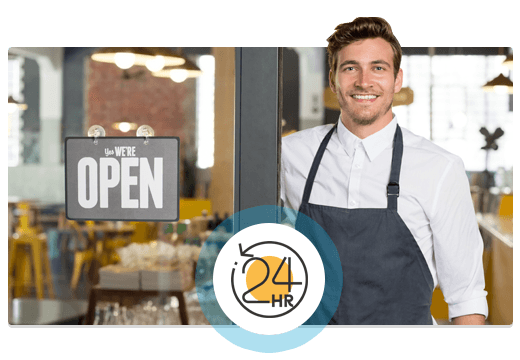 When you work with Digital Security Guard, we will help you to manage your time and prioritize the operation of your business more efficiently. By taking care of your security guard services, you’ll have more time to focus on what really matters - making sure your customers are satisfied and safe. Contact us at Digital Security Guard today!